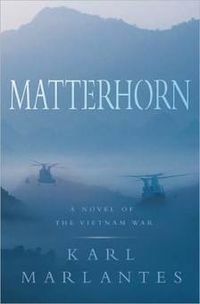 September’s book club book was Matterhorn by Karl Marlantes which is a novel set during the Vietnam War. I can’t really say what the book is about without cheating and looking at wikipedia because I only made it through the first hundred pages (of six hundred). In those first one hundred pages nothing happens. There is a lot of scene setting and a lot of clumsily incorporated detail. The main character comes across as quite whiny and none of the characters are sympathetically drawn. I was just bored. Which was disappointing because this could have been fascinating, had it been told differently. I’d really wanted to read it. I felt like another couple of rewrites could have made it a much better book. I’ve been reading a lot of non-fiction lately. Sometimes I don’t notice until I write my reviews. A Great and Terrible King: Edward I and the Forging of Britain by Marc Morris is an historical biography of Edward I, king of England 1272 – 1307. Historical biographies are as much about the social and political landscape of the times as they are about the person at the centre of the story. Which is why I will read historical biographies but have very little patience with contemporary ones. But give me a bit of medieval history and I’m happy. Given that Edward didn’t become King until he was thirty-three and the book starts with his birth, it also covers the second half of his father’s reign. Henry III, by contrast, came to the throne at the age of nine. The two men were of very different character, which provides a nice ‘compare and contrast’ element to the story. What comes across was that Edward I was an effective king. Many of the things he did were questionable by modern standards, such as his treatment of the Jews or of the conquered Welsh, but he wouldn’t have been judged as harshly by his contemporaries. There is some interesting discussion on the changes in the moral climate and I liked that Morris didn’t excuse or gloss over anything while at the same time put his actions in context. It’s a fine line to walk. The book also highlights how hard it is to judge an entire life. 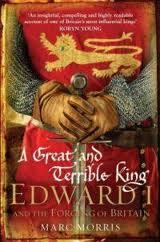 Edward I did more than any other medieval English king to create the modern kingdoms that form Britain. And we still live with the legacy of that today. He was an action-hero figure of a king, constantly on the move and almost permanently at war. His expertise at diplomacy was a bit patchier; sometimes he seemed to have a golden touch and at others everything went to pieces. There is much more to Edward I than being the villain of Braveheart. This was a fascinating read, I learnt a lot, and I really enjoyed it. I’m covering some extra work at the moment while we’re temporarily short-staffed. Some of that work has to do with the standardization of plugs. Which turns out to be fascinating. There are fourteen different types of plugs. Who knew? Well, probably lots of people, but not me. The country with the greatest diversity of plug use is Jordan, which has seven different types in use. For more fascinating plug facts, there is the World Plugs website. 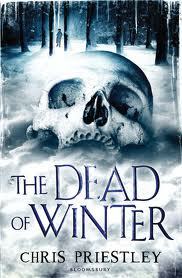 I picked up The Dead of Winter by Christopher Priestley in the 99p kindle sale. Priestley has a column in the British Fantasy Society magazine and I was interested to read his work. This is a classic style ghost story. A young boy, Michael, is orphaned and sent to live with a mysterious benefactor in a creepy, isolated house in the fens. Michael’s benefactor is a sickly man whose wife died and who now lives there with his brittle sister, and some humble and friendly servants. From the start, Michael sees things that can’t be explained, scary things that others don’t see. As he tries to work out what is going on, he unravels the terrible secret at the heart of the house. I found this novel short and not very scary. It was ok, but very much a Victorian ghost story which isn’t really my thing. When I went looking for the picture for this post I stumbled across another review that said the book was aimed at children, specifically eight to ten year olds. Seriously, these things should have some sort of label on them. But, with that perspective, the things I didn’t like about the book make a bit more sense. If you know someone with pre-teens who like a bit of horror, this would be very suitable. I’m supposed to like this, right? It’s a classic. And I remember I liked the film a lot when I was younger. Maybe that was just because Sting was in it. Dune by Frank Herbert has been sitting on my shelf for a good five years since it was bought for me by a friend in a ‘You haven’t read Dune? !’ moment of horror. I got over three hundred pages in before I finally gave up. I just wasn’t enjoying myself and then I questioned why I was putting myself through the tedium of trying to finish it. There is a question over a cat that has to be milked and the mouse duct-taped to it. The question is WHY? Answers in the comments please. I don’t think there’s anything particularly wrong with the book. It didn’t really seem to get going and I felt I was waiting for it to start for the first two hundred pages. The stuff about the mental powers and reading body language and other clues didn’t come across that well. I don’t know how you could really show that working though. It’s ambitious and isn’t quite pulled off. There were parts of the book that were entirely dialogue for pages and pages. That was quite interesting from a writing technique perspective. It worked. A touch more action and description would have grounded it a little more, but it would have taken very little. 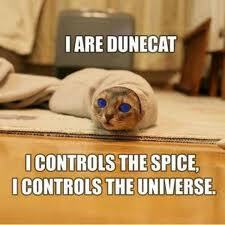 If you haven’t read Dune already, you can probably live without it. This picture of a cat is way more entertaining.